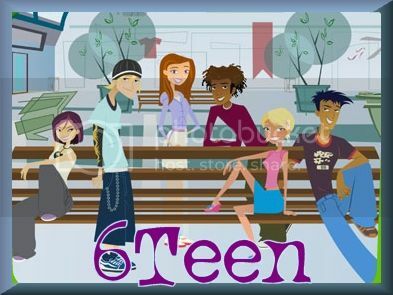 The Fresh TV Inc. hit show, 6TEEN, has won a Pulcinella Award from Italy’s Cartoons on the Bay International Television and Multimedia Animation Festival. The tween cartoon that follows the lives of a group of 16-year-old friends was selected as the Best TV Series for the Tween Generation by the international jury. The annual awards ceremony took place on April 5, 2009 in Rapallo, Italy. An international five-member jury selected the award recipients from 44 selected works in nine categories. The jury chose 6TEEN for this award for the personal stories of the characters that resonate with the target audience, making the series feel current and relevant. The award reinforces the international appeal of Fresh TV’s “borderless” tween programming, including Total Drama Island and Stoked, which premieres in June. 6TEEN is an animated situation comedy set entirely in a gigantic shopping mall. It’s all about minimum wages and maximum laughs as the ensemble cast of six 16-year-old friends try to make it through their first part-time jobs and life as a teen. From stumbling through relationships to dealing with hideous uniforms, the larger-than-life mall provides our characters with the perfect venue to spread their wings – and take total nosedives. The series is distributed internationally by Nelvana and was funded by the Canadian Television Fund.